Ian Vashti's wife and Mileina's mother. 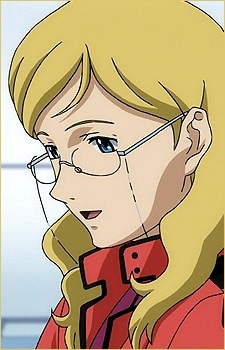 Introduced in season 2 as chief of Celestial Being's R&D division. Everyone comments on how she appears to be far too young to be Ian's wife. She takes over Ian's job of delivering new tech to Ptolemaios II during their fights with the A-Laws.